Take a look at Discovery Walking Guides latest newsletter; topics include Menorca, Lanzarote, free digital maps and Walk! books and more. Click the link to read all about it. You’d be forgiven for not knowing the location of this little gem of an island. It’s surprisingly easy to reach and has a delightful personality all its own. Formentera is one of the Balearic Islands to the east of mainland Spain, in the Meditteranean. It’s the little sister island to Ibiza and is only a 30-minute ferry trip away. Beaches, beaches – so many of them for such a small island and white, clean and beautiful. The island had been occupied by the Carthaginians, then the ancient Romans, the Visigoths, the Byzantines, the Vandals, and the Arabs. Eventually the island added to the Crown of Aragon and later became part of the medieval Kingdom of Majorca. The main island of Formentera is 19 kilometres (12 miles) long and is located about 6 kilometres (4 miles) south of Ibiza in the Mediterranean Sea. The major villages are Sant Francesc Xavier, Sant Ferran de ses Roques, El Pilar de la Mola and La Savina. Formentera comprises one municipality, also called Formentera, and has a population of 9,962 (as at 1 January 2010). Its land area is 83.24 square kilometres (32.1 sq mi). Cars are easily hired in the port and there’s a good choice of conventional or electric vehicles. There are more electric vehicle charging points here than anywhere else in the world, given its land area. Mopeds and bicycles are available to hire; the terrain is mostly flat and there are dedicated cycle lanes in some areas. The island has four Martello towers. Ferries to Formentera from Ibiza operate every half hour in high season. A local Ibizan (eivissenc) variant of the Balearic dialect of the Catalan language is spoken in Formentera though English and other European languages are frequently heard too. Discovery Walking Guides carried out an intensive cartographic survey on Formentera a few weeks back and design of the new Formentera Tour & Trail Super-Durable Map is well under way. For full details about the new Formen tera map, click here. How would you like to be part of the launch of this exciting new map project? For a modest pledge you can help this project to fly – and receive free maps too. There’s still time to be a part of this exciting project. Take a look at DWG’s Kickstarter Project here. Ibiza is 572.56 square kilometres (221.07 sq miles) land area. 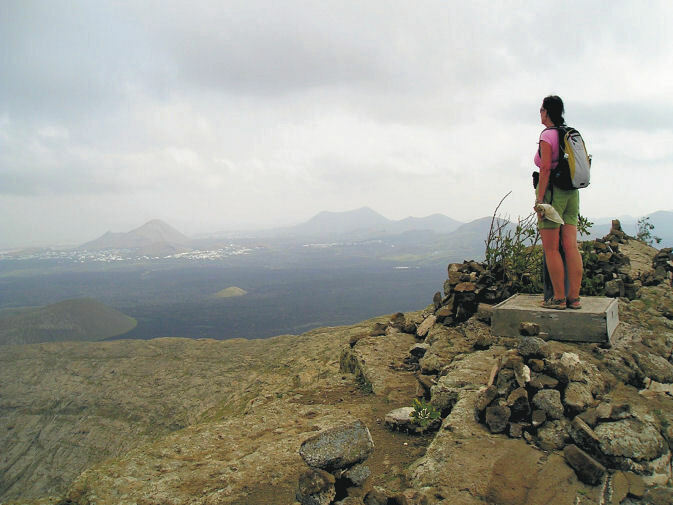 The highest point of the island is Sa Talaiassa, at 475 metres (1,558 ft). Until now, the maps available for the island of Ibiza have been basic and without the kind of detail you need to enjoy exploring. That’s all set to change as Discovery Walking Guides has completed their ‘on the ground’ mapping survey. Design of the new Ibiza Tour & Trail Super-Durable Map is well under way. Click HERE for all the details of the new Ibiza map. There’s still time to part of this exciting project. Wow! 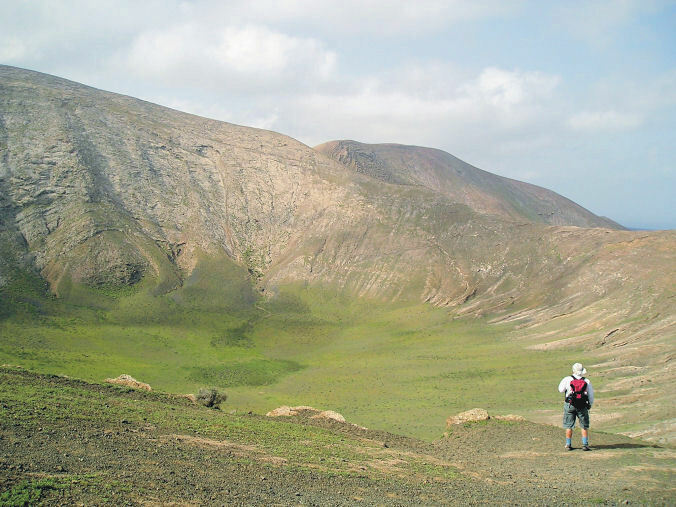 The interior of the crater, Walk 39, Lanzarote. Standing on the volcanic crater rim of Caldera Blanca, Lanzarote. fantastic walk and the view from the crater rim were fantastic. safely negotiate. We would have been much happier going up that way. We walked in La Palma a few years ago and again found the guide great. Thanks again for a great guide.